cause the VCO to vary in frequency which will force the loop to unlock or cause the audio to warble. 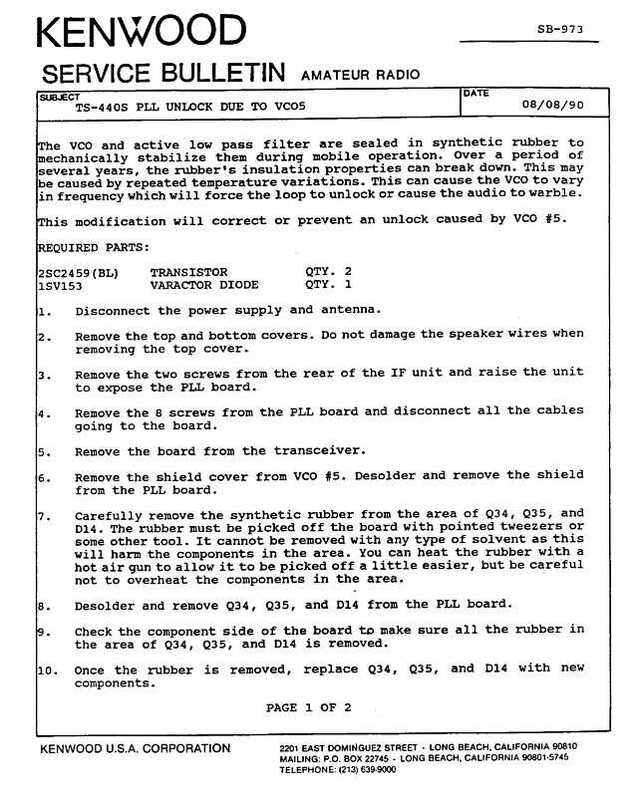 This modification will correct or prevent an unlock caused be VCO #5. 2. Remove the top and bottom covers. Do not damage the speaker wires when removing the top cover. 3. Remove the two screws from the rear of the IF unit and raise the unit to expose the PLL board. 4. Remove the 8 screws from the PLL board and disconnect all the cables going to the board. 5. Remove the board from the transceiver. 6. Remove the shield cover from VCO #5. Desolder and remove the shield from the PLL board. tweezers or some other tool. It cannot be removed with any type of solvent as this will harm the components in the area. 8. Desolder and remove Q34, Q35, and D14 from the PLL board. 9. 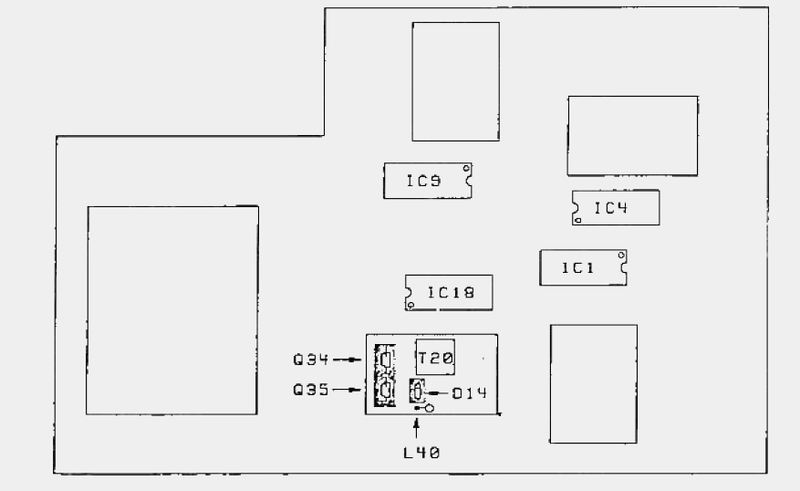 Check the component side of the board to make sure all the rubber in the area of Q34, Q35, and D14 is removed. 10. Once the rubber is removed, replace Q34, Q35 and D14 with new components. 11. Inspect and resolder the foil side of the PLL board under VCO #5. 12. Install the VCO shield on the PLL board and solder it in place. the area i covered, use the hot air gun to flow the glue around the components. Do not overheat the components. 14. Install the PLL board in the transceiver. 15. Apply power to the transceiver and allow it to run in receive for about a half hour so the transceiver's temperature stabilizes. 16. Set the operating frequency to 14.200 MHz. the VCO, bench run the transceiver for an hour or more to make sure the circuit is stable.